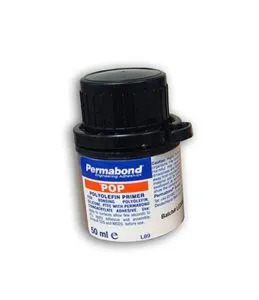 Permabond TA439 is a structural acrylic adhesive with good chemical resistance and impact strength. Permabond TA439 is a two component, toughened acrylic adhesive for bonding metals, ferrites, ceramics and some plastics. This adhesive has high shear and peel strength. 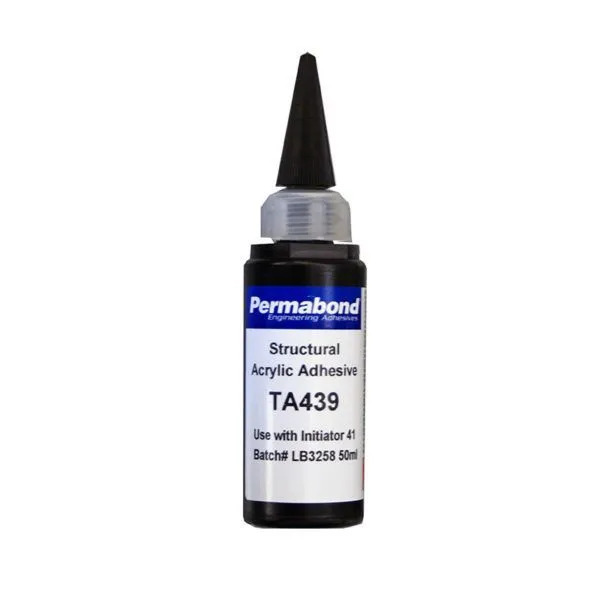 Permabond TA439 has a fast cure at room temperature and a typical fixture time of 20-40 seconds. 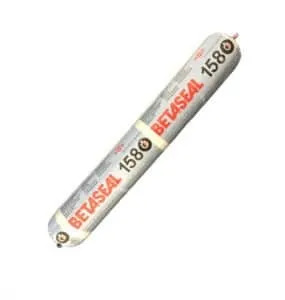 This adhesive is methacrylic acid free making it suitable for sensitive components in sealed electric motors. Initiator 41 can be used with Permabond TA439 or Initiator 43 can be used when bonding plastics. 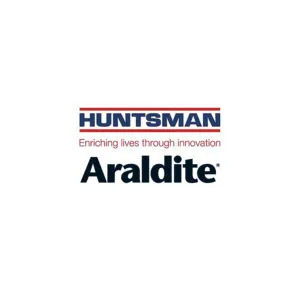 Surfaces should be clean, dry and grease-free before the application. 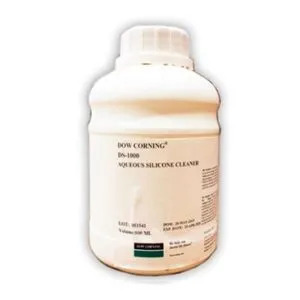 Permabond Cleaner A can be used for degreasing the majority of surfaces.